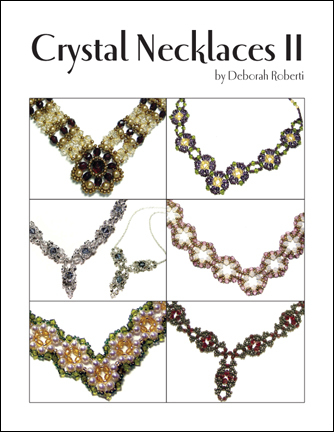 PDF EBooks can be purchased for $21.95 and downloaded immediately at AroundTheBeadingTable.com! NOTE: This PDF EBook is 66 pages and 4.7 megabytes. Payable through Paypal or major credit card for instant PDF download. NOTE: PDF download links are sent to the Paypal email address that you supply during purchase. If you have any problems downloading your PDF EBook purchase (this can sometimes happen if you are using a mobile device or tablet), please email me at espresso@sonic.net and I am more than happy to email your PDF EBook purchase to you. 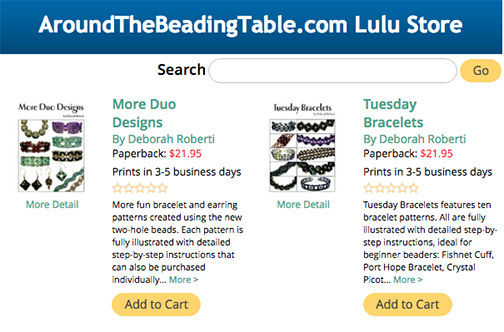 Print books can be purchased for $21.95 at my Lulu.com store! Click HERE or on the photo above to purchase a print book at Lulu.com! What is Lulu.com? Lulu Press, Inc. is an online print-on-demand, self-publishing and distribution platform. Since its founding in 2002, Lulu has published nearly two million titles by authors in over 225 countries and territories. It enables authors to get their books printed and delivered to customers without having to print and store hundreds of books at a time! I currently have over 25 books at my Lulu store and will continue to create more for those who prefer books over PDF downloads. Just click on the photo below to visit my Lulu Store!